The situation is generally calm. The OSCE special monitoring mission reported on Wednesday afternoon that the situation in Luhansk is generally calm, although armed men and military-type vehicles stay on the streets of the city. Many of the armed uniformed men wear balaclavas and white armbands on their sleeves. 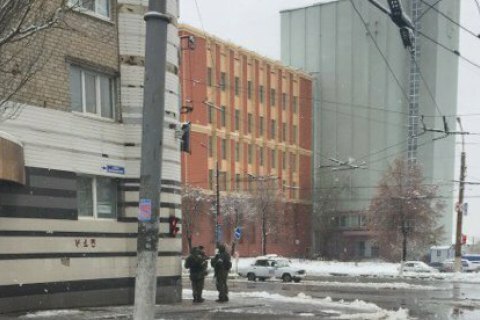 SMM monitors were not allowed into the intersection of cross of Lermontov and Sovetskaya streets. The first deputy head of the OSCE SMM Aleksandr Hug is in Luhansk. On November 21, media reported that the leader of the "LPR" Ihor Plotnitskiy fled to Russia amid a conflict with the head of the "LPR interior ministry" Kornet, whom he tried to remove from office. The center of Luhansk was cordoned off by armed uniformed people with no insignia. Kornet issued a statement refuting his resignation and told about arrests of the closest associates of Plotnitskiy. Plotnitskiy, in turn, confirmed Kornet's resignation and denied the arrest of his comrades-in-arms.